Within no time, Philips Hue Lights have got this new feature, called ‘Philips Hue Entertainment’ that take the Hue experience to a new level all together! The ‘Philips Hue Entertainment System’ pairs up with media devices to deliver dynamic and exciting lighting experience. Imagine lights going romantic automatically when you listen to ‘My Heart will go on..’ and so, isn’t that enthralling? Philips Hue Lights is known to be tying-up with several gaming and entertainment creators to enhance the consumer lighting experience and Razer Chroma is first on the list. You can sync your Philips Hue lights to the devices, like Mac or PC and sync your lights as per the content you’re watching. Meanwhile, let’s explore the range of Hue Lights and accessories that we must collect. To experience the Philips Hue Entertainment system, here are the recommendations for the Philips Hue Lights that you should buy! 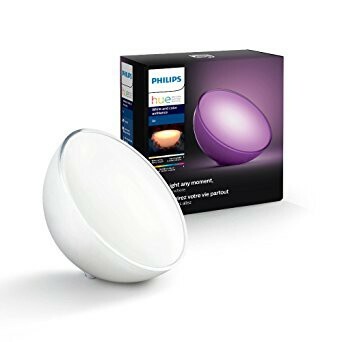 Even if you have previous generation of Philips Hue White and Color Ambiance lights, you can connect them with the Philips Hue Entertainment System, but for the best experience of entertainment the third generation of Philips Hue White and Color Ambiance lights is the best. These bulbs offer better colors- particularly green and blue are brighter. Also, the response rate is improved. For richest experience of lighting, you should definitely buy these bulbs. As you may know that this is 80-inch light strip, which can bend and adjust as per your need. 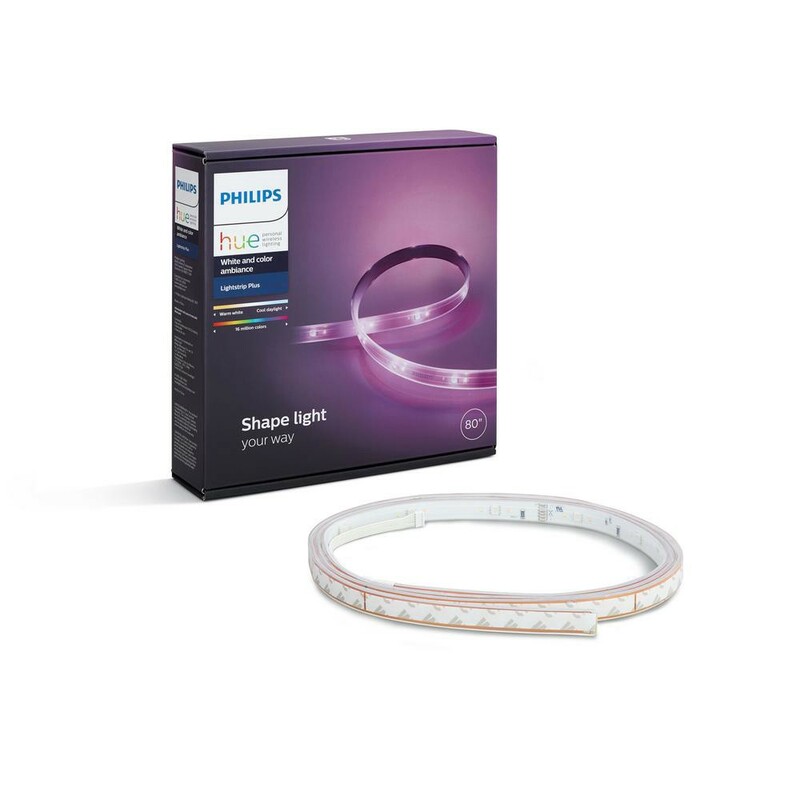 The Philips Hue Light Strip Plus kit, which cost $85 offers dynamic lighting experiences, suitable for your home theatre or television. This series of colorful LEDs are sufficiently bright and offer enough light to radiate your entire room. A 40-inch version of similar lights is also available, which you can buy if you wish to extend the strip. The 40-inch Philips Hue Light Strip Plus kit will cost another $40 but the long life and energy efficiency offered makes the Philips Hue Lights worth every penny. These light strips come with an extension wire that makes it easier to wrap the lights at individual positions and places around you home. 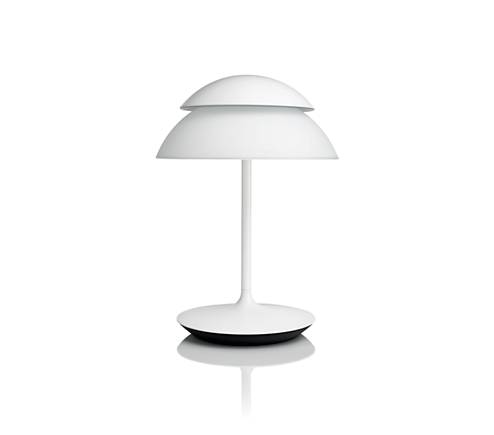 Philips Hue beyond Table Lamp is a combination of two light sources, which provides millions of color and costs around $200. Every shade you can wish for is available with this white and color ambiance range. The two light sources can be controlled independently and provides 500 lumens on light output. The Philips Hue Go lights are a better version of Philips Hue Bloom. The Philips Hue Go lights are chargeable and portable; so that you can carry these lights anywhere you want, for camping, for picnic and again with luminance enough to glow every corner of the place. 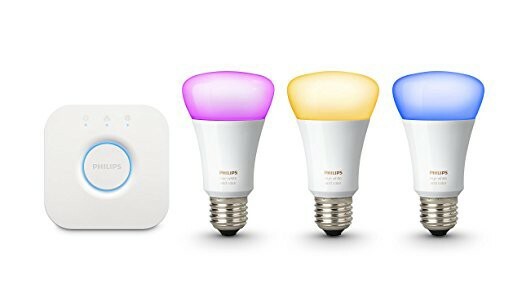 In case, you don’t have enough sockets or lamps at some place in your house, and you would like to have them, this $80 Philips Hue Go is the perfect choice for your Philips Hue Entertainment System. 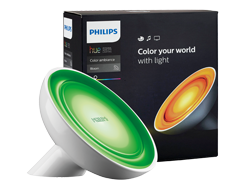 Once you get the right lights for your Philip Hue Entertainment, check out this space for a detailed guide for setting-up the Philips Hue Entertainment System.